School lunches are so bland that kids are selling salt and pepper to spice them up, a school official told lawmakers Wednesday. This “contraband economy” is result of the Healthy, Hunger-Free Kids Act Of 2010, said John Payne, a school board president in Indiana. 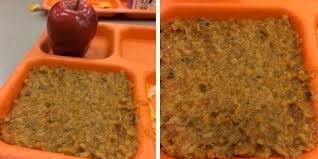 The 2010 bill directed the U.S. Department of Agriculture to create national standards for food served and sold in schools, which included limits on what could be served and how much, as well as a maximum amount of calories that can be included in school meals.